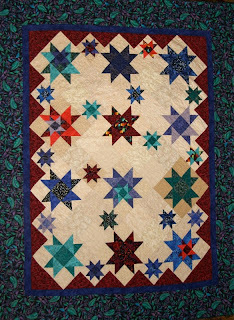 Your star quilt is gorgeous. I love jewel tones too. I hope you find your camera battery soon! Because I want to see more pictures of your beautiful work!